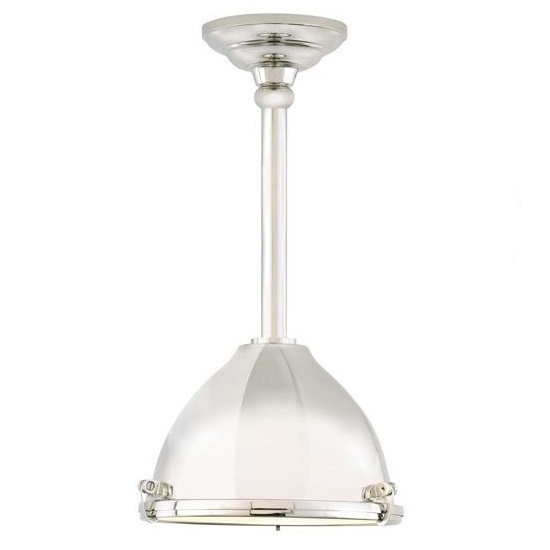 Industrial-inspired dome-shaped metal shade with frosted, tempered glass diffuser. Incandescent includes 120 volt 100 watt or equivalent medium base, A19 lamp; fluorescent includes 18 watt GX24Q-2 base, triple tube lamp and electronic ballast. Each includes a fixed-length or telescoping stem. Incandescent version dimmable with standard incandescent dimmer. Suitable for damp locations.